What Types of Careers are Available with a Degree in Curriculum and Instruction? The careers available with a degree in curriculum and instruction include the following four jobs that include managerial and administrative positions, according to Education Week. Superintendents of curriculum or instruction are responsible for ensuring that teachers and schools as a whole consistently deliver high quality educational experiences in every classroom. They establish and oversee all educational processes related to curriculum quality, professional development and instruction improvements. They play a critical leadership role, because they identify and track all teaching and learning needs as well as improvement plans and strategies. They act as instructional leaders and coaches for teachers. They supervise and ensure effectiveness of all teaching activities, such as curriculum development, and learning activities, such as assessment creation and implementation. Superintendents of curriculum assure that curricula are aligned with state and national standards. They establish routines and processes that drive fact based instructional improvement programs. Education specialists focus on improving academic opportunities for students. They are on-site instructional leaders who closely work with teachers to ensure the delivery of skill-based projects and curricula. They also enrich academic performances by making sure that classroom activities are well structured, age-appropriate and align with educational models and policies. They also assist teachers with improving their classroom management skills. Education specialists consult with education administrators, support teachers and support activity specialists and special education staff. That is, they observe and provide feedback to educators for training and improvement purposes. They systematically assess the success and effectiveness of curriculum by analyzing academic data and student work so they can recommend appropriate changes. Curriculum assessment administrators develop and host training activities and workshops. Regarding curriculum, they work closely with staff and administration to develop effective programs and monitor outcomes. This requires them to have an in-depth understanding of curriculum maps, academic schedules and system-wide standards. They evaluate curriculum to ensure consistency and alignment with relevant standards. Regarding teacher mentoring and development, they provide support and ongoing constructive feedback to educators about formal and informal assessments and classroom observation. They coach teachers on best instructional practices through demonstrating model lessons. 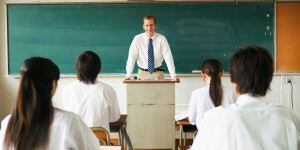 They also have professional development duties for classroom related personnel, such as in-service training programs. They collect test data, student observations and teacher suggestions to generate recommendations. These curriculum professionals spend most of their time gather and analyzing data, then creating and presenting reports. They elicit information from educators through anonymous surveys, classroom observations and formal evaluations. They identify and develop measurable curriculum objectives for educational administrators. They typically work on simultaneous evaluation projects that each have unique data inputs, collection methods and program objectives. They usually supervise a team of researchers and office staff. They also serve on district committees and work directly with district administrators. They respond to information requests from educators, administrators and the public. They must have strong analytical skills, intellectual curiosity and motivation to drive process improvements. Academic coordinator, curriculum director and education training specialist are other careers available with a degree in curriculum and instruction.